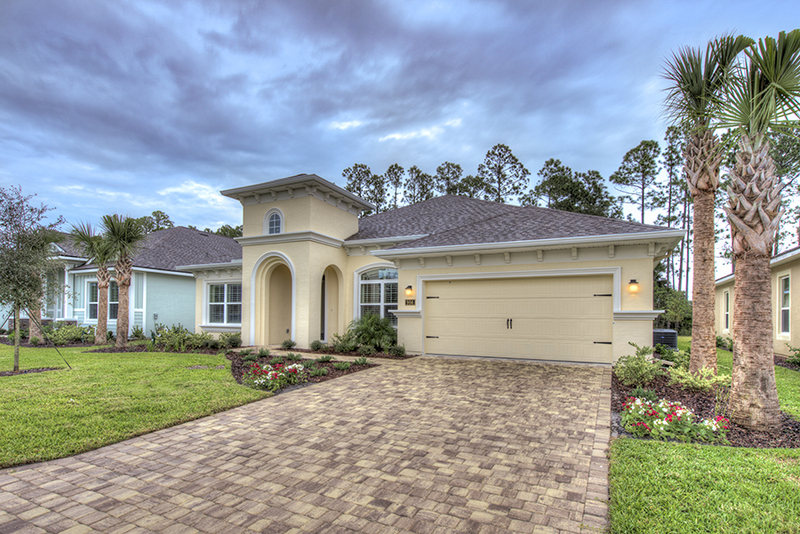 The Belaire at Plantation Bay is a large single family home that has a lot of diversity. 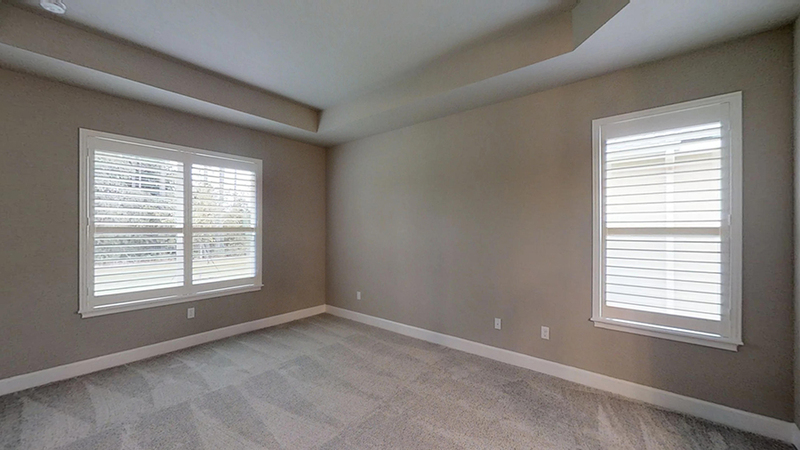 This home can be either a 4 bedroom or 3 bedroom with an office and has a very large gathering area as well as formal dining room. 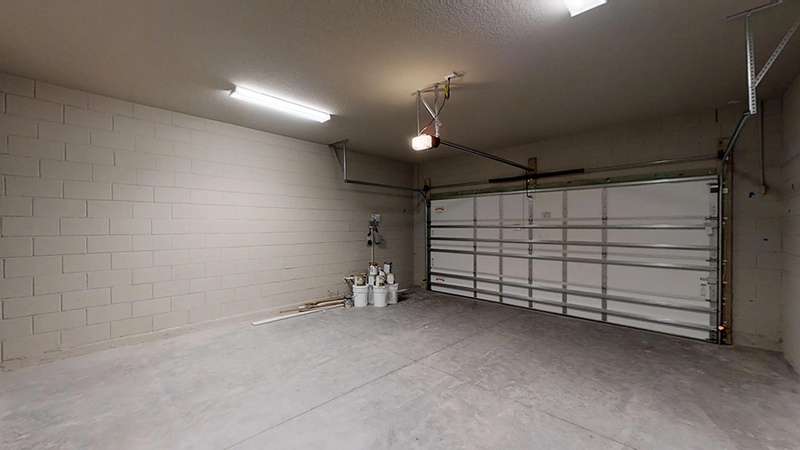 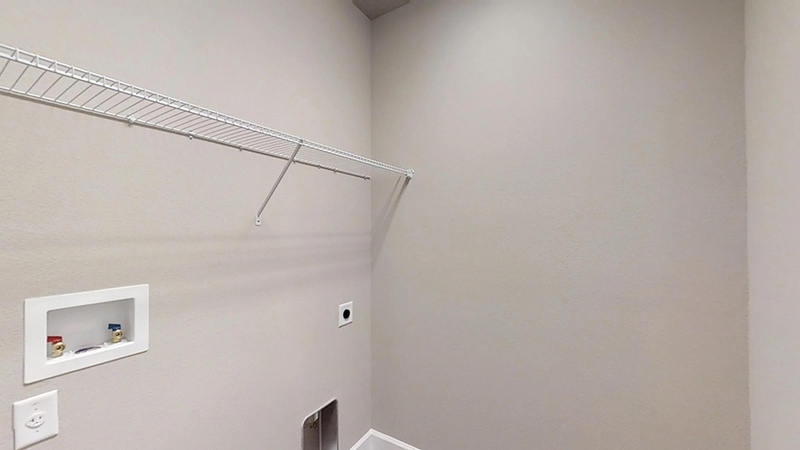 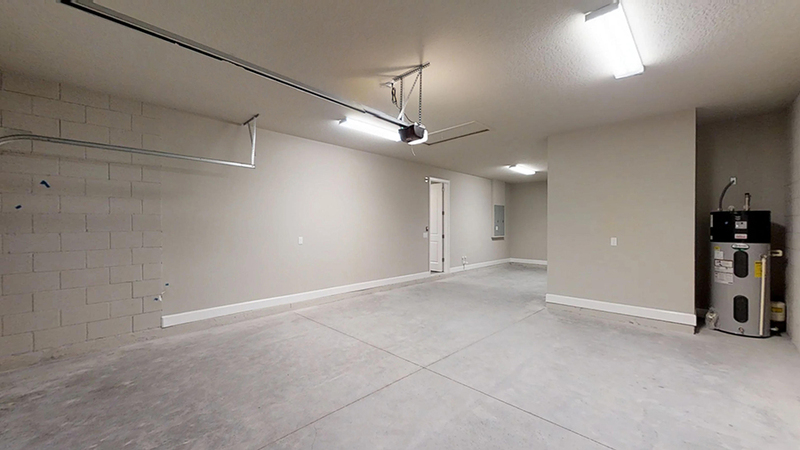 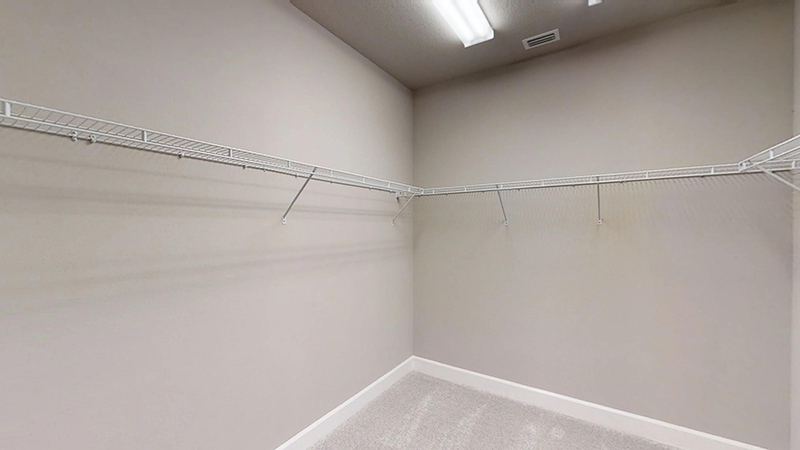 The 3 car (tandem) garage will handle all of your storage needs and then some. 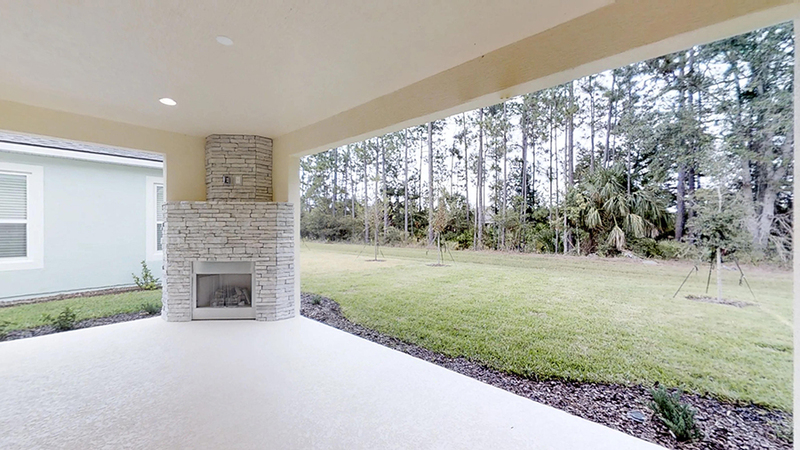 Sitting in the gathering room, you can’t help but be drawn to the rear lanai space that has a corner fireplace for some of the cooler evenings. 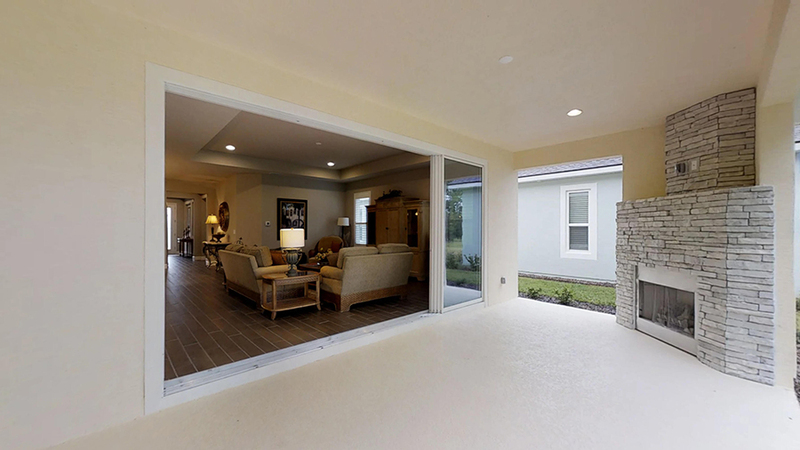 The 16 foot wide sliding glass door provides ample natural light and a great view of the conservation area behind the home. 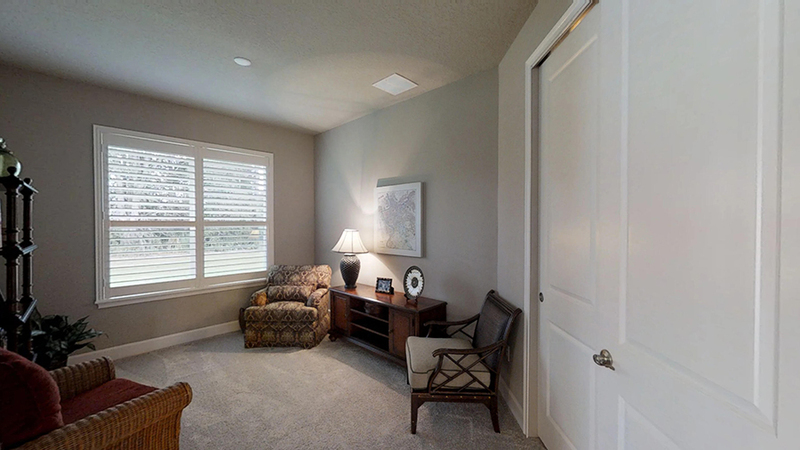 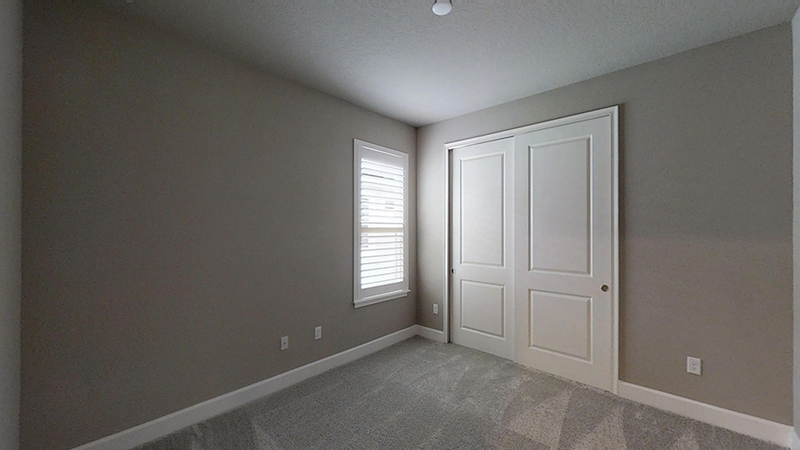 The owner’s suite is positioned at the opposite end of the home from the guest rooms to give you the ultimate in privacy. 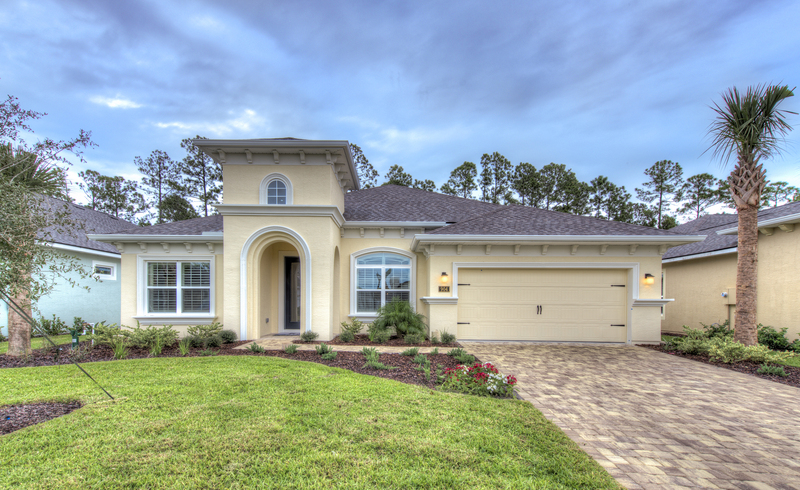 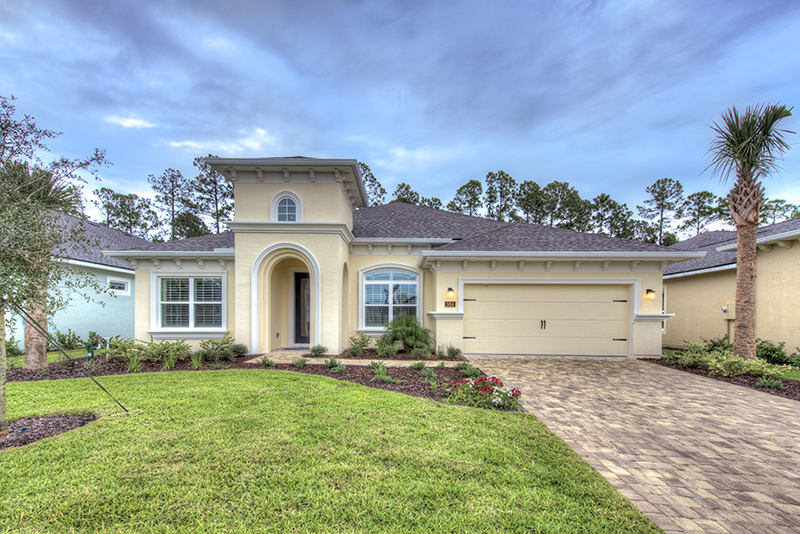 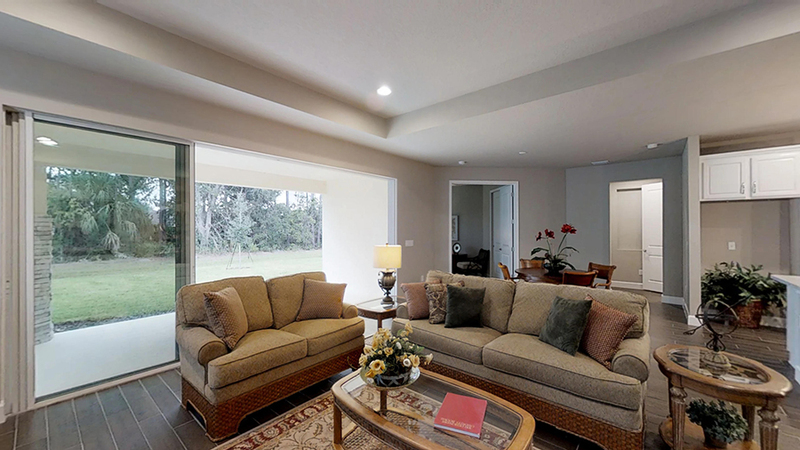 This home is perfect for the Florida lifestyle you are seeking. 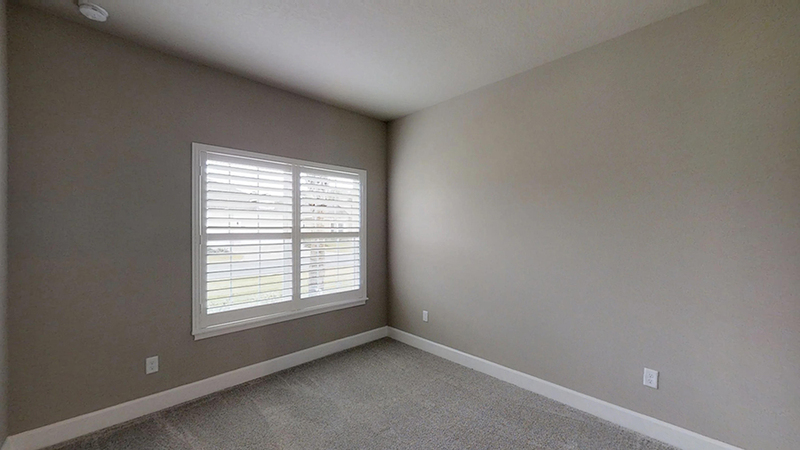 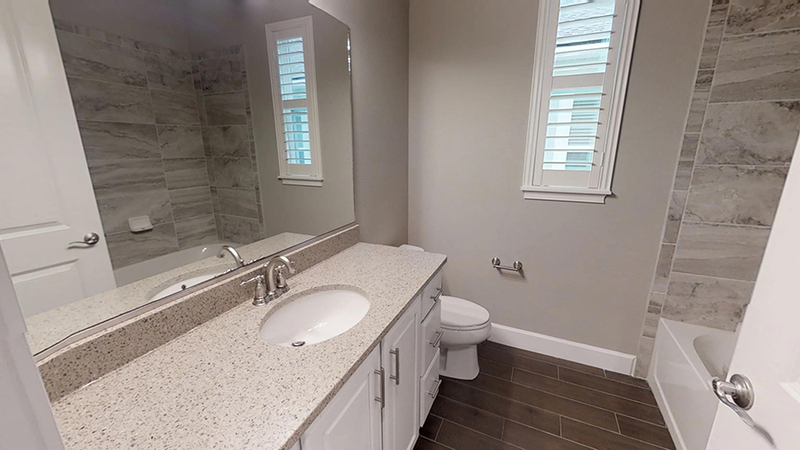 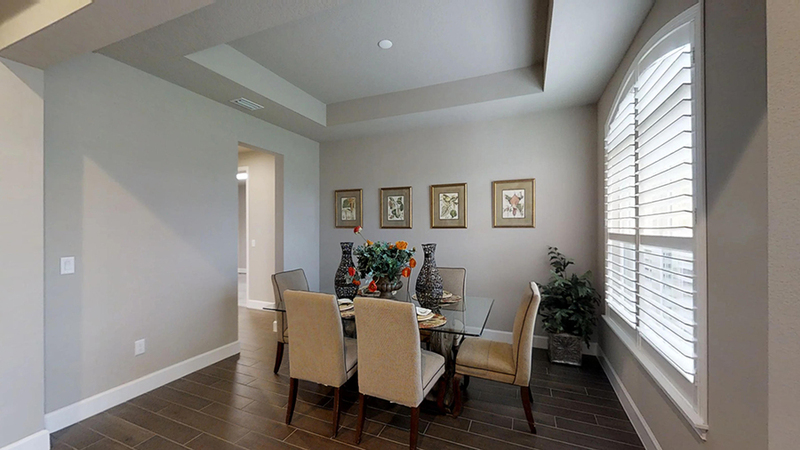 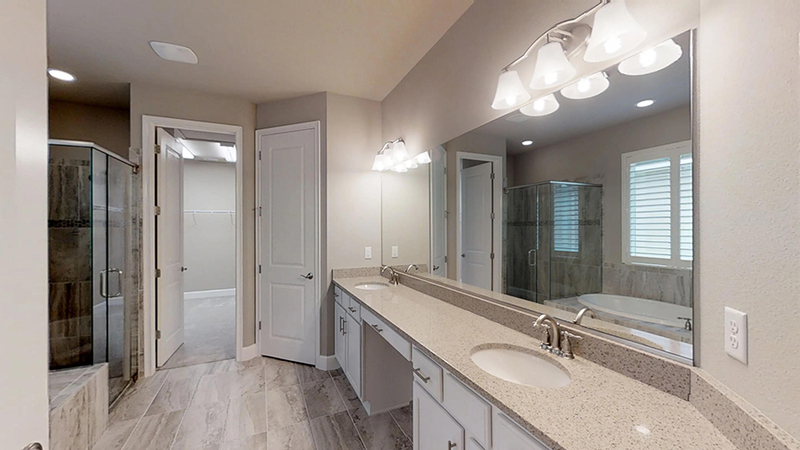 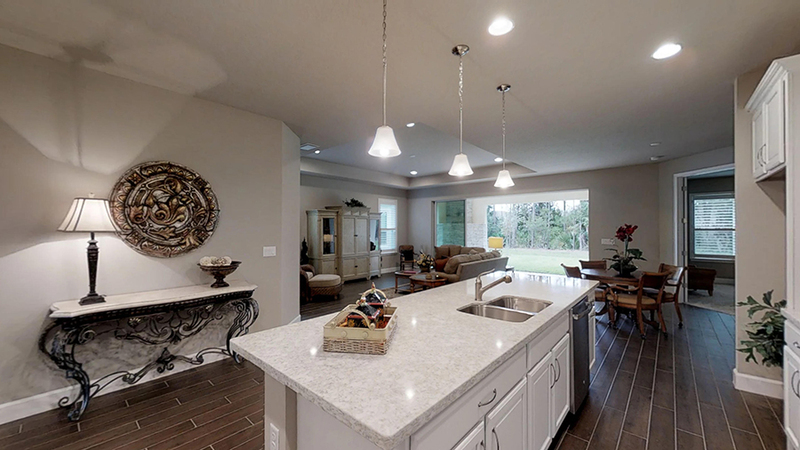 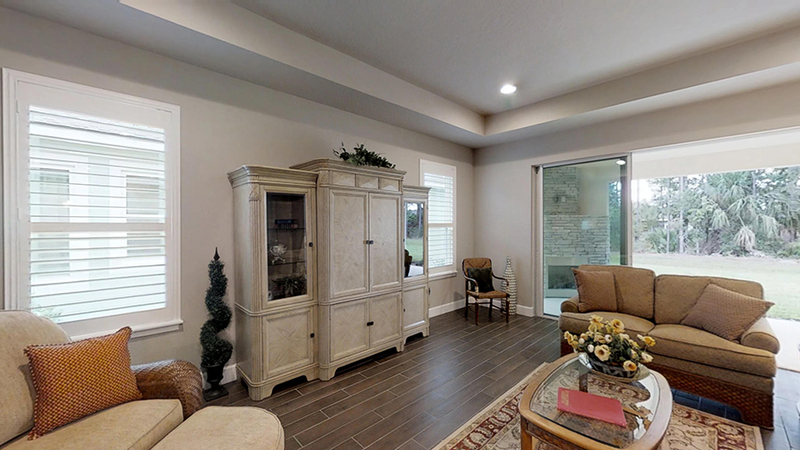 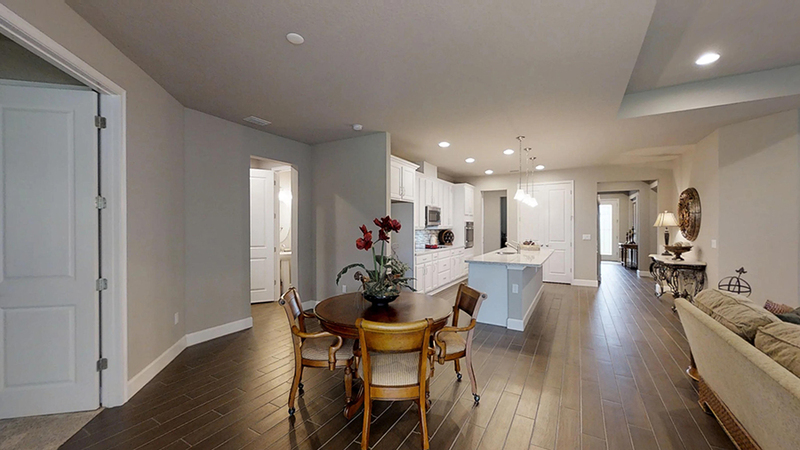 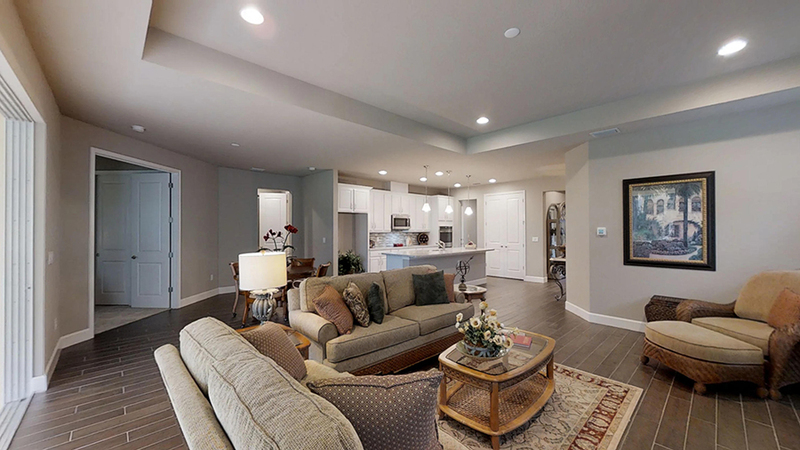 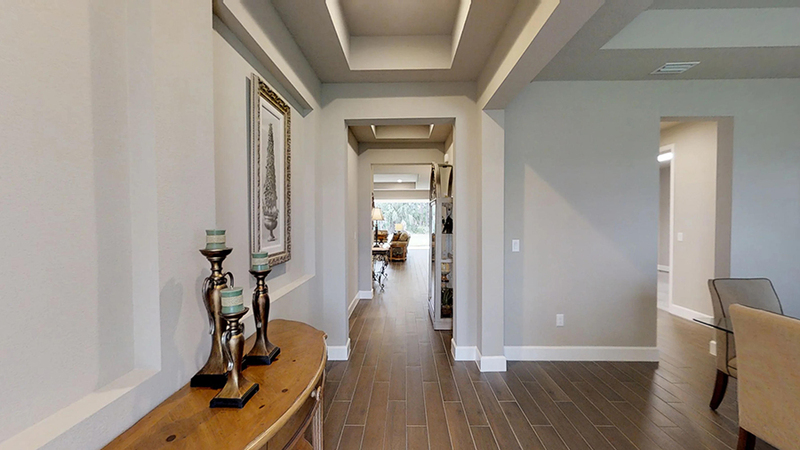 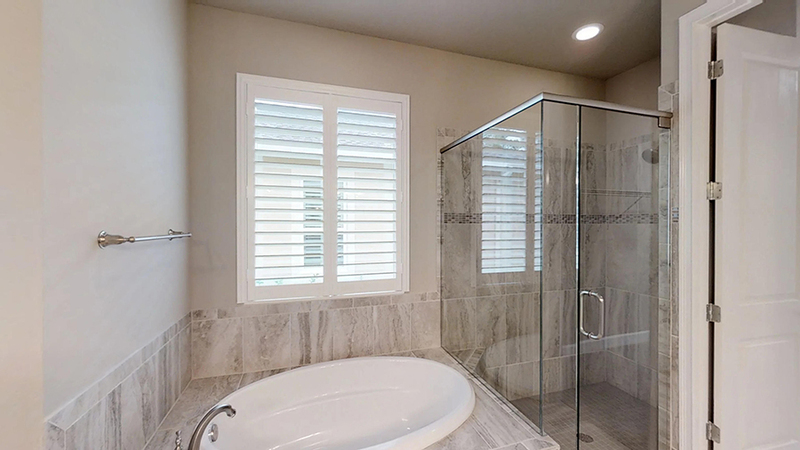 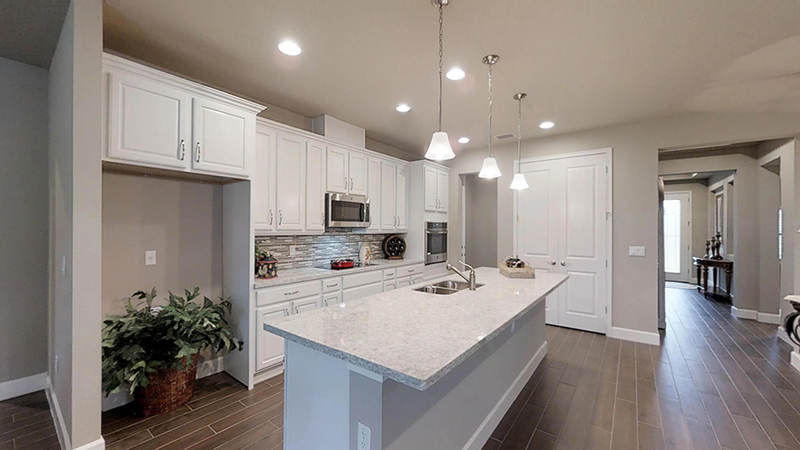 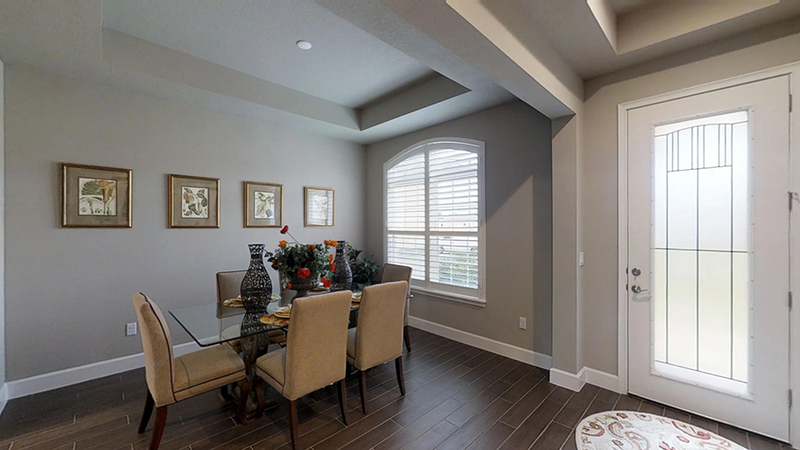 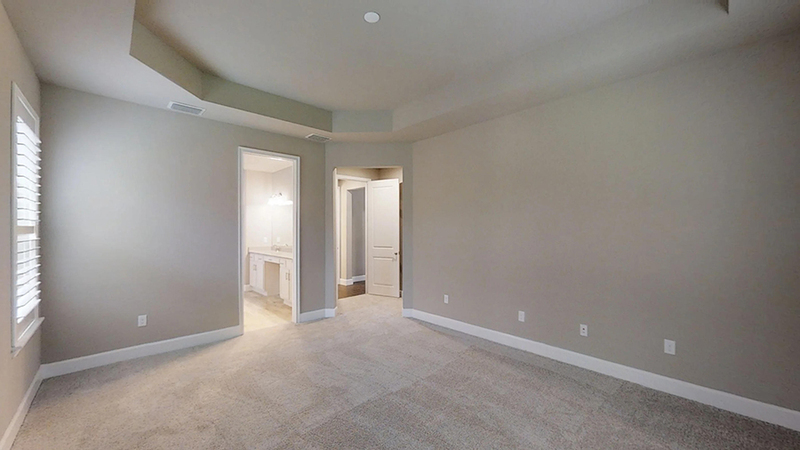 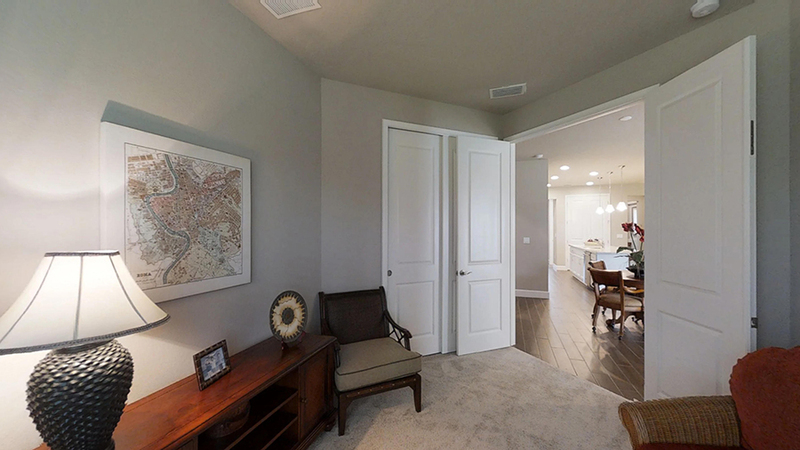 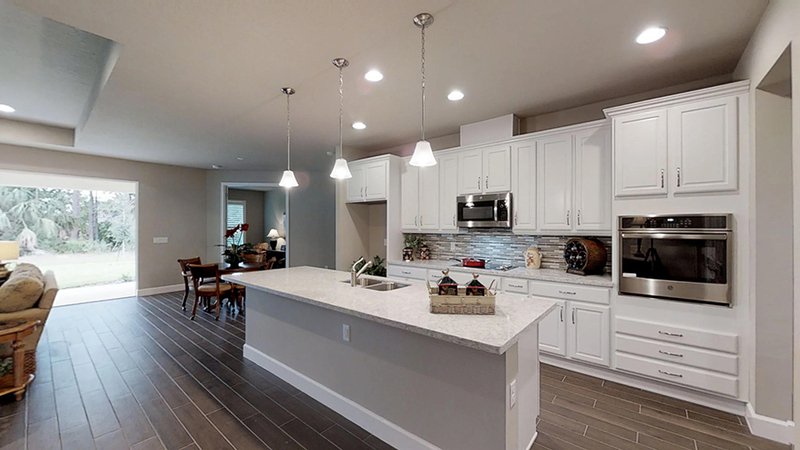 If dark brown wood looking tile floors with white cabinets and quartz countertops are your ideal living space than you are in luck with this pre-designed showcase home.